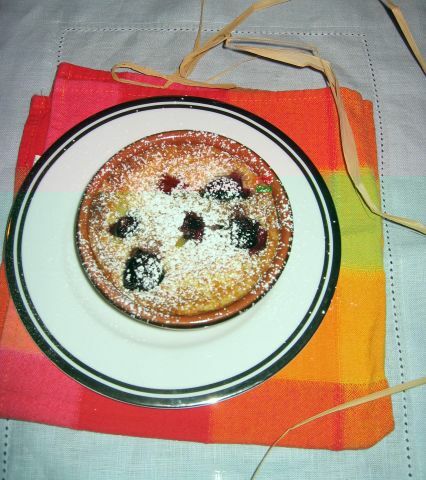 I am in the mood for a Clafoutis with cherries tonight! I remember seeing a good recipe from Gordon Ramsay that I would like to try out. 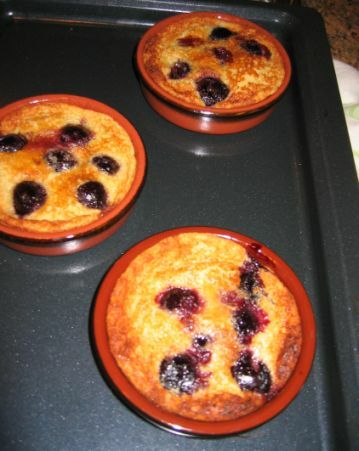 After reading the recipe I realized that I am not going to have the Clafoutis tonight! The batter needs to rest overnight! Oh well, I am going to prepare it and will bake it tomorrow night! 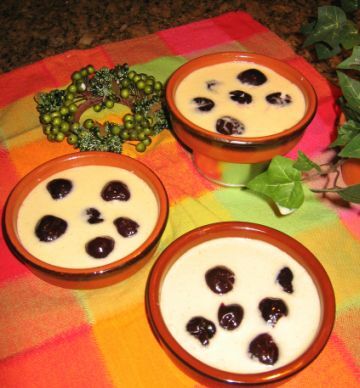 This is a really traditional dessert from the Limousin area (West central of France). The area is also famous for porcelain of Limoges. 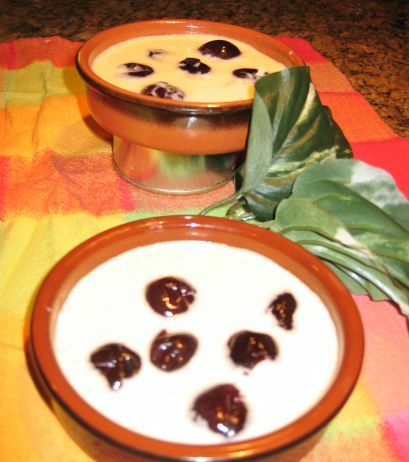 Clafoutis is a custard-like baked French dessert, cooked with unpitted cherries. The pits supposedly released a wonderful flavor when the dish is cooked. 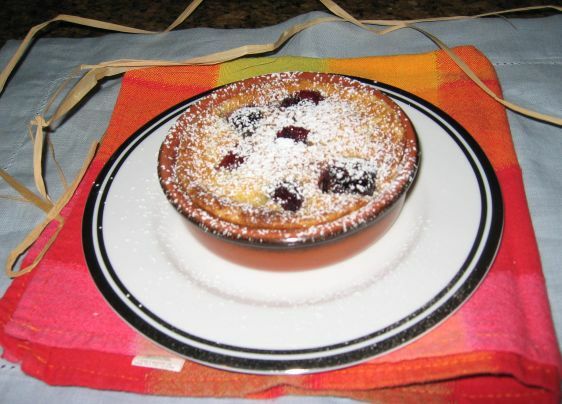 A traditional Clafoutis taste like baked Flan. 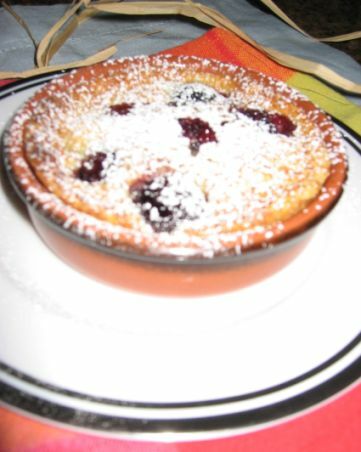 Gordon Ramsey's Clafoutis has a different twist. The consistency is softer and tastier because of the ground almond. I decided to make individual cake because it is just easier to serve. The dough looks like a pancake batter. Cherries are not in season yet so I got frozen cherries and they are pitted, much easier to eat! All I need to do is to is to sprinkle a little powdered sugar and set it up on a nice plate for presentation and voila we got a tasty dessert!